Theodore Alexander was founded in 1966. 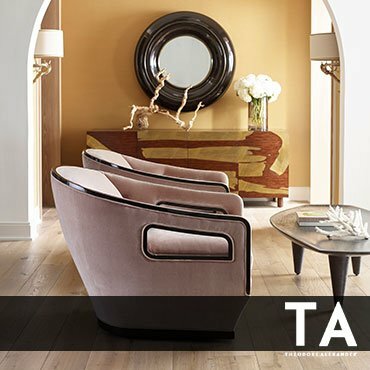 Now one of the leading manufacturers of fine furniture, Theodore Alexander has over 4,000 designs in their collection and strives to provide eclectic, traditional and modern classical furniture and accessories to their clients. Theodore Alexander crafts each piece by hand using traditional craftsmanship and age-old techniques while working with diverse material. All of Theodore Alexander's pieces are constructed to last a lifetime. At Designer’s Studio, we are proud to carry Theodore Alexander. We invite you to come to our showroom to view this exquisite furniture for yourself. If you are looking for a particular piece or have any questions, please feel free to Contact Us or Call 814-364-9220.